The 275m Pont del Petroli was constructed in the 1960s by the CAMPSA oil company. Originally used for unloading oil tankers, the jetty was abandoned in the 1990s and soon became popular with local SCUBA divers. In 2003 Badalona City Council purchased and refurbished the jetty adding a weather station at the far end. In 2009 it was opened to the public as an extension to Badalona’s attractive promenade. The weather station records meteorological and oceanographic data which can be viewed in real time on the Pont del Petroli website. 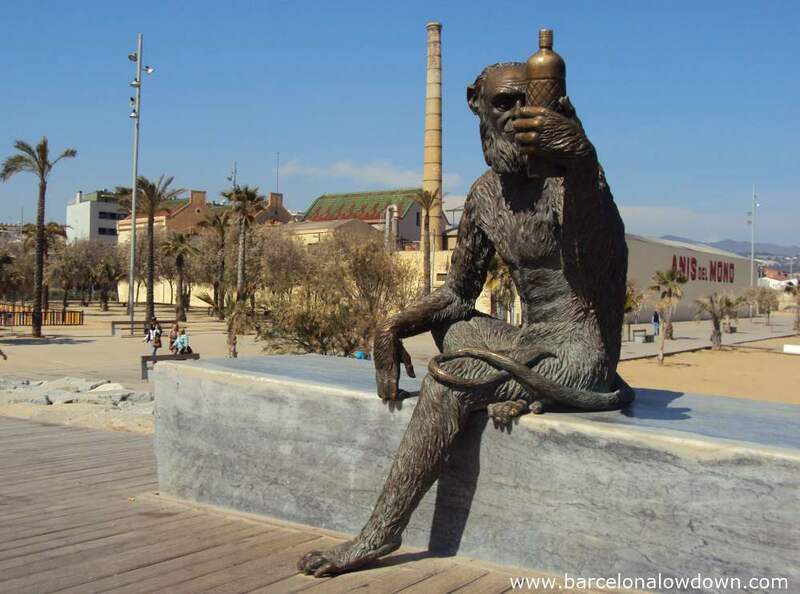 At the entrance to the pier sits a rather unusual bronze statue of a monkey holding a bottle of Anise. The statue is the work of local sculptor Susana Ruiz and pays tribute to the logo of the nearby Anis del Mono factory. Interestingly the statue combines the monkey from the company’s logo with the face of Charles Darwin! 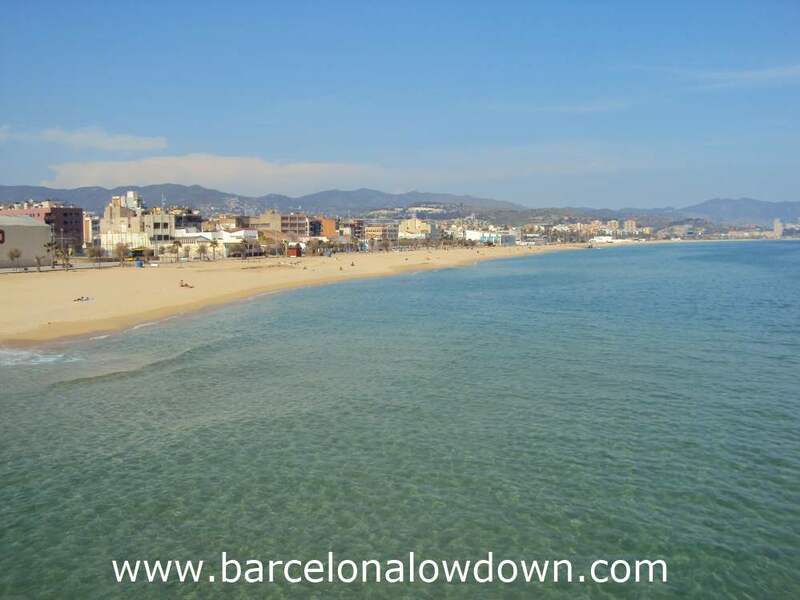 The jetty affords a panoramic view of Badalona as well as distant views of Barcelona’s Forum and the Agbar tower. Badalona is an 18 minute train ride from Plaça de Catalunya on the R1 commuter line. It’s in Zone 1 and is covered by the T10 combined train/bus/metro ticket. As you leave Badalona train station turn right and you will see steps which lead down and under the railway lines to the beach (next to the refreshments kiosk). Once you get to the beach you will see the Pont del Petroli about 300m to your right. Alternatively you could take the metro to Badalona Pompeu Fabra on the purple line (L2). It takes about 15 minutes to walk from the metro station to the Pont del Petroli.